On April 9, 1865 General Robert E. Lee surrendered to Union General Ulysses S. Grant at Appomattox, Virginia. 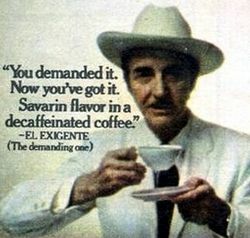 This signaled the start of the end of the American Civil War. In early 1865, the Union Army began marching through the state of Virginia, pushing back the Confederate forces. 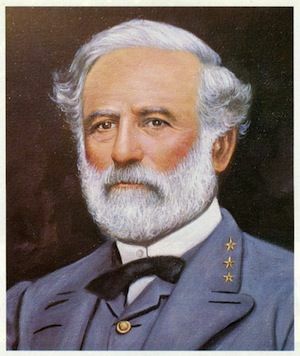 In hopes of uniting with more Confederate troops in North Carolina, General Robert E. Lee and the Confederate Army abandoned the capital of Richmond and retreated. 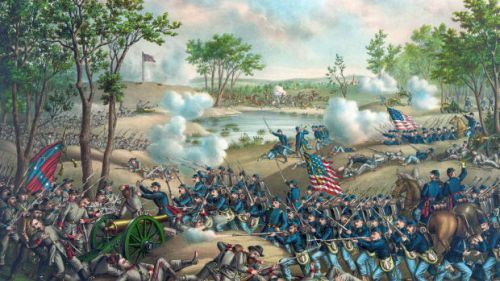 However, the Union Army soon cut off their retreat and they were forced to stop at Appomattox, Virginia. General Grant and the Union Army had the Confederates surrounded. The Confederates were low on supplies, many soldiers were deserting, and they were greatly outnumbered. Upon looking at the conditions and the odds, General Lee felt he had no choice but to surrender. 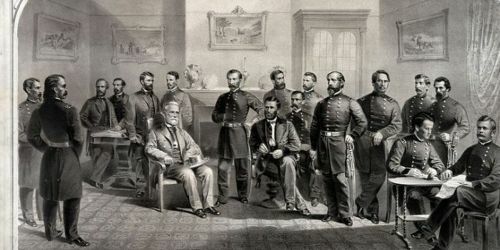 The two Generals, Lee and Grant, met on April 9, 1865 to discuss the surrender of Lee's army. General Grant came and met Lee at the McLean house in Appomattox. 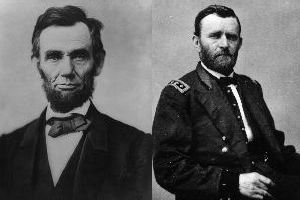 Grant had great respect for Lee and, before they got down to surrender terms, he actually made some small talk with Lee. 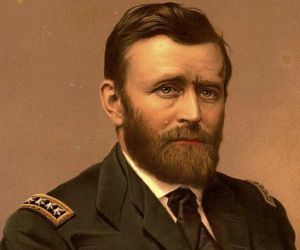 General Grant had already discussed terms with President Lincoln. 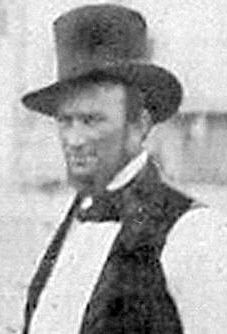 President Lincoln wanted peace to come to the Union and felt he needed to treat the Confederate soldiers such that they would not rebel again. 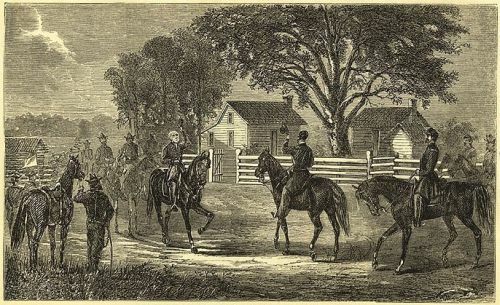 The terms of the surrender were generous: Confederate soldiers would have to turn in their rifles, but they could return home immediately and keep their horses or mules. 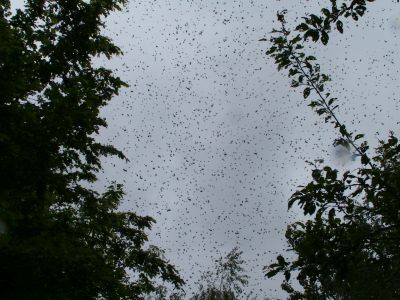 They were also given food as many of them were very hungry. 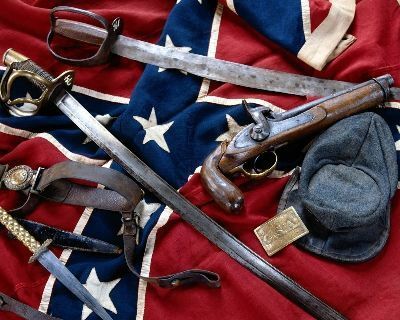 These terms were more than Lee and the Confederate Army could ask for. 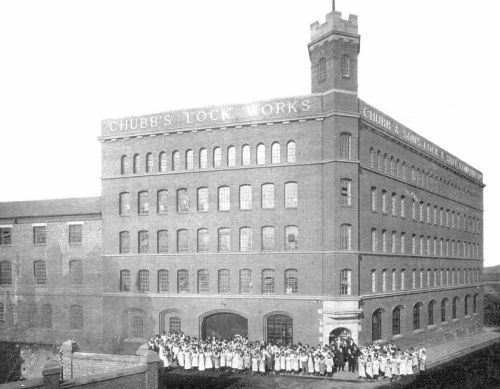 Although they were crushed to have to surrender, they could not dispute the fairness with which they were treated by the North. There were many more soldiers and armies throughout the south that had not yet surrendered. 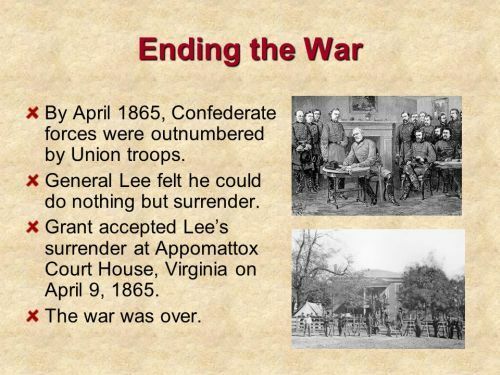 However, when they heard of Lee's surrender at Appomattox, many of them knew the war was over. 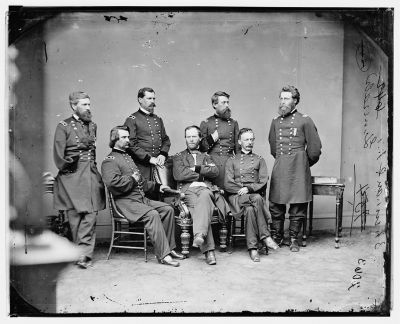 General Joseph Johnston surrendered his army to General Sherman on April 26, 1865. Many other officers followed in surrendering. 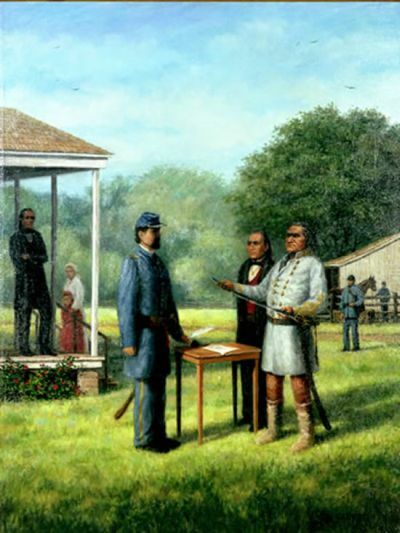 The last Confederate general to surrender was General Stand Watie who surrendered on June 23, 1865. 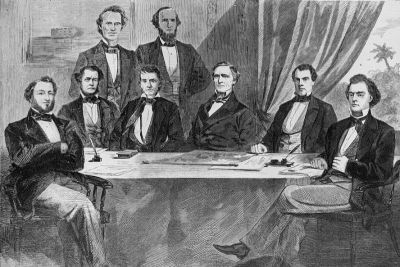 On May 5, 1865 Confederate President Jefferson Davis held the last meeting of his cabinet. They officially dissolved, or ended, the Confederate government. Davis tried to escape, but was soon captured. He spent the next two years in prison. 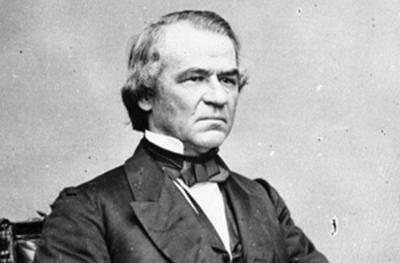 On August 20, 1866 President Andrew Johnson signed a document stating that the American Civil War was over and all of America was at peace. 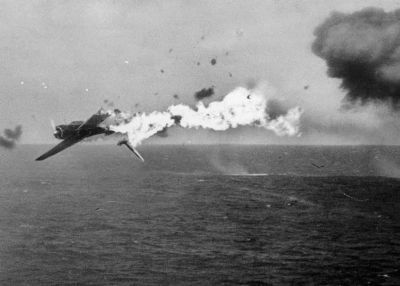 Kamikaze: any of the Japanese pilots who in World War II made deliberate suicidal crashes into enemy targets, usually ships. The term also denotes the aircraft used in such attacks. The practice was most prevalent from the Battle of Leyte Gulf, October 1944, to the end of the war. 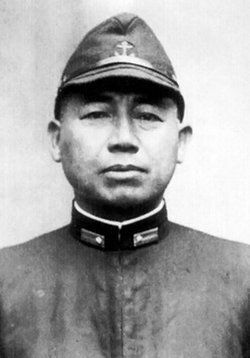 It is Vice-Admiral of the Japanese Navy, Takijiro Onishi who created the first squadron of kamikaze (devine wind) pilots. Onishi reportedly approached his superiors to ask to create a suicide squad and was granted permission on one condition, he was only allowed to recruit volunteers. 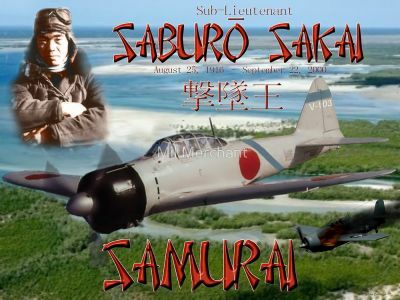 Determined to make his suicide squads a reality, Onishi personally made the very first announcement requesting volunteers for the “special attack force” at Mabalacat Air Base. 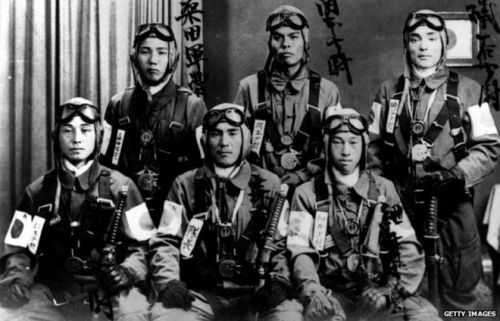 All 23 pilots asked to join ultimately volunteered. 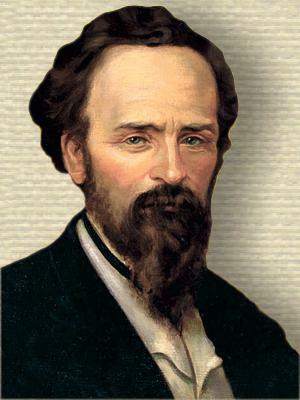 However, the official story of droves of zealous volunteers clamoring to sign up has been questioned by many historians, particularly with first-hand accounts from actual pilots popping up since, painting a decidedly less patriotic or eager tone. 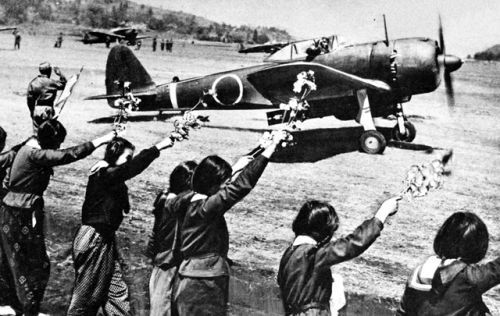 While some kamikaze pilots certainly did enthusiastically volunteer, this was not always the case. 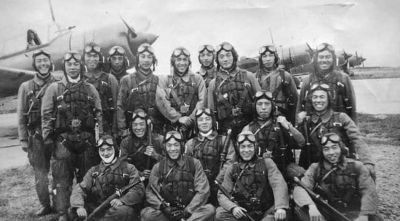 Potential kamikaze pilots were given a slip of paper with three options; volunteer willingly, simply volunteer, or don't volunteer. As these papers had the pilots' names on them, they very rarely said no. The pressure to volunteer was intense. 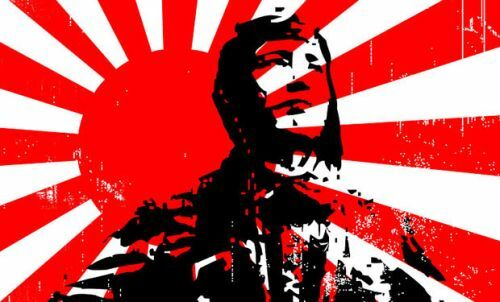 Japanese military dictum at the time was essentially "death before surrender," and indeed it wasn't only the kamikaze who took this dictum literally. 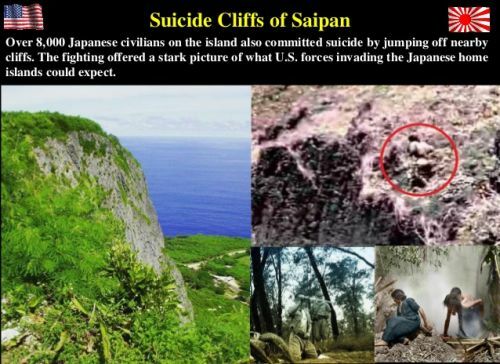 Japanese soldiers would also engage in banzai suicide charges when faced with certain defeat, and even Japanese civilians chose suicide over capture, such as the 8,000 who jumped from the cliffs of Saipan. 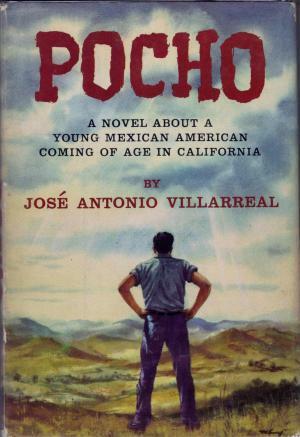 The first important Chicano novel was Pocho by Jose Antonio Villarreal, published in 1959. 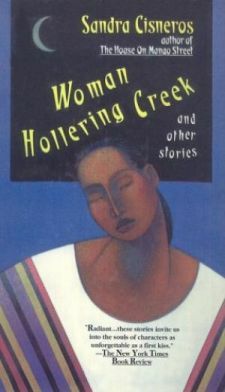 Based partly on the author’s life, the novel tells the story of a Chicano youth growing up in California’s Santa Clara valley. 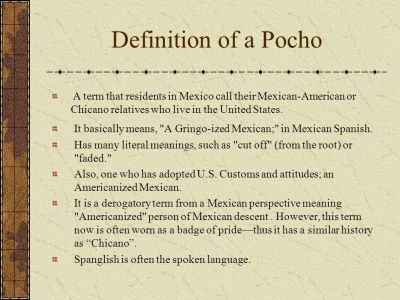 The word Pocho is a derogatory term used by people in Mexico to describe Mexican Americans. 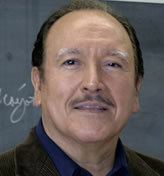 It suggests a Mexican who has foolishly given up his ethnic heritage to seek his fortune among the Anglos, who look down on him. 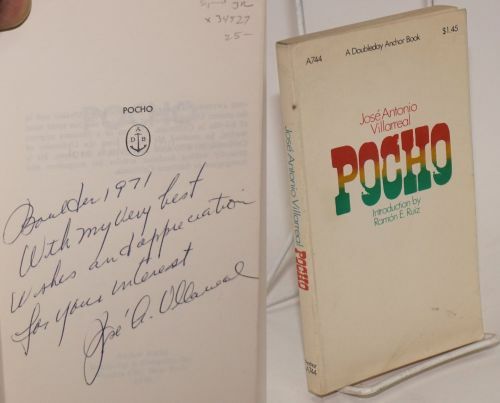 The term implies “stupid” or “small.” Chicanos often face prejudice not only from Anglos but from Mexicans who regard them with this kind of contempt. 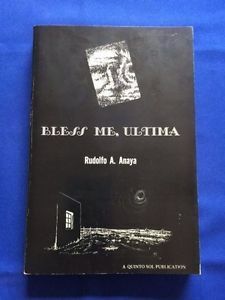 Other respected books by Mexican American authors include Bless Me, Ultima (1972) by Rudolfo Anaya; Woman Hollering Creek and Other Stories (1991) by Sandra Cisneros; and the Earth Did Not Part (1971) by Tomas Rivera; Hunger of Memory(1982) by Richard Rodriguez; and Bloodroot (1982) by Alma Villanueva. 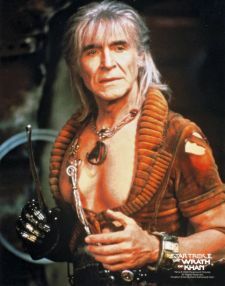 Captain Kirk’s archnemesis Khan in Star Trek II: The Wrath of Khan (1982) was played by Mexican-born Ricardo Montalban, who also starred on the TV show “Fantasy Island.” His brother Carlos Montalban was the TV pitchman El Exigente for Savarin coffee. 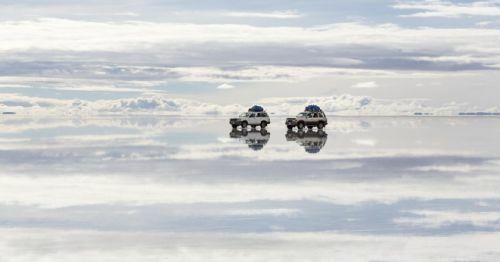 More than just a blindingly white expanse, the alien landscapes of Bolivia’s Salar de Uyuni and its surreal surrounding deserts have become a rightful highlight of the South American gringo trail. Yet visiting these remote lands can be something of a challenge, not least for the nausea-inducing altitude and extreme isolation involved. 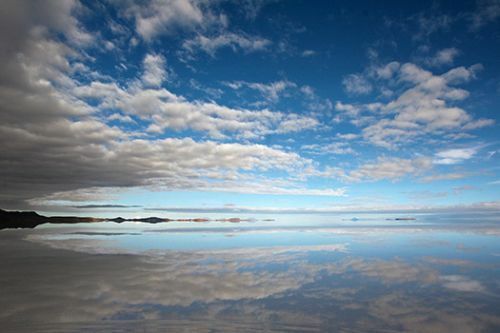 Salar de Uyuni, amid the Andes in southwest Bolivia, is the world’s largest salt flat. 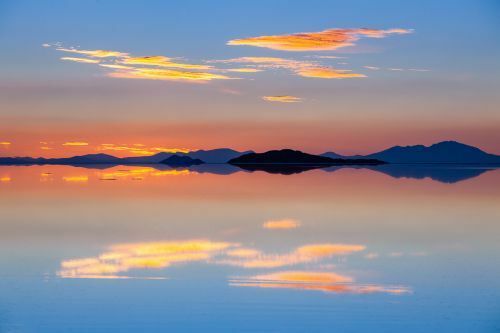 It’s the legacy of a prehistoric lake that went dry, leaving behind a desert-like, nearly 11,000-sq.-km. 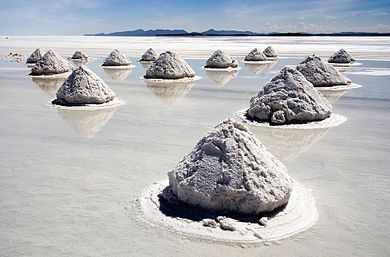 landscape of bright-white salt, rock formations and cacti-studded islands. 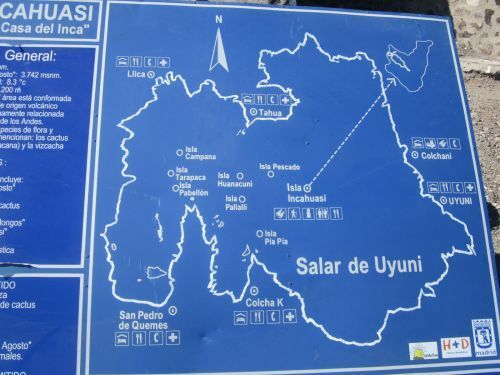 Its otherworldly expanse can be observed from central Incahuasi Island. 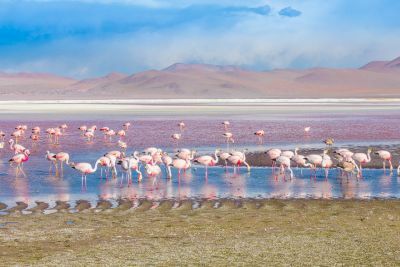 Though wildlife is rare in this unique ecosystem, it harbors many pink flamingos. 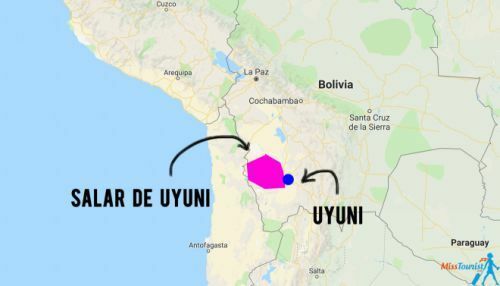 Once Salar de Uyuni and the surrounding area formed an enormous sea. 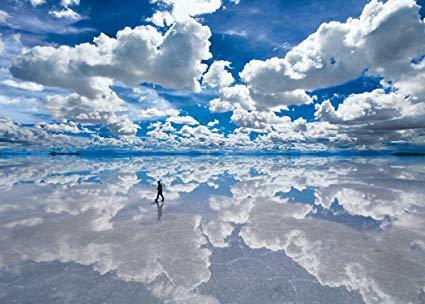 Nowadays it is the largest salt flat in the world. This almost surreal world lies at an altitude of 3,650 meters. 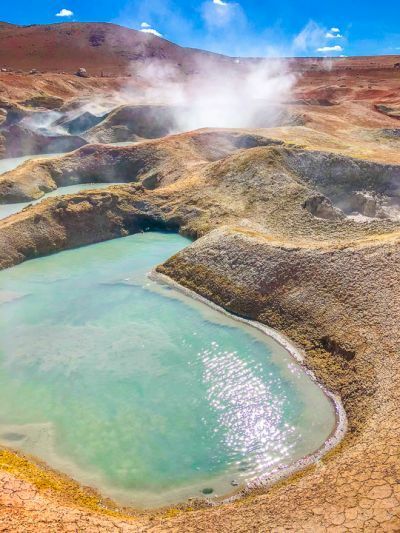 There are mud geysers, thermal springs and strange rocks carved by the wind. 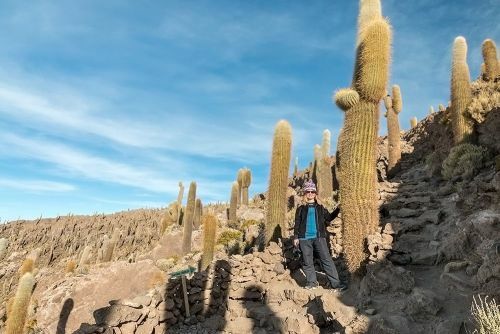 As always, Mother Nature has adapted itself and there is life in abundance in this part of Bolivia. 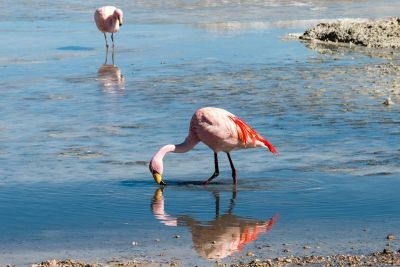 For instance, there are three types of flamingos that roost here, and some cacti can grow and grow as tall as 40 feet (12 meters). 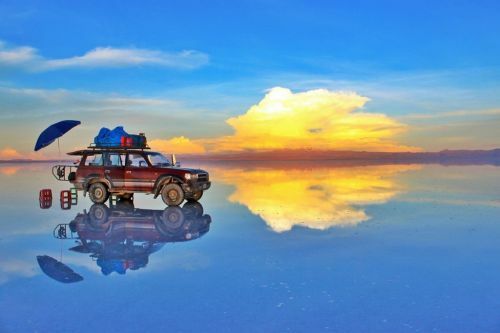 Salar de Uyuni feels like another planet. 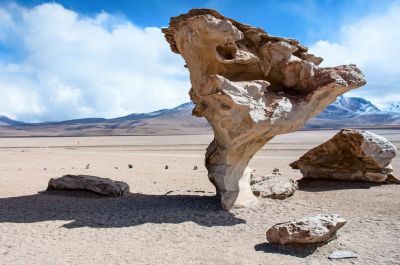 The endless salt flats, the rugged volcanic landscape of the Andes, together with the striking tranquility, provide a scenery unequalled the world over. It is a place that can only be experienced, filled with awe, time and again; a place where you simply have to adapt, like the plants and animals do. 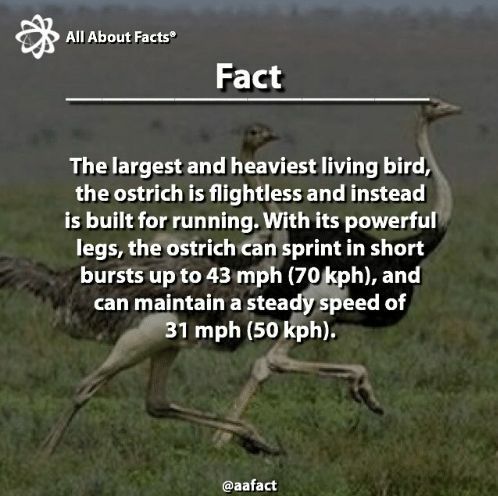 What Is The Fastest Animal On Two Legs? 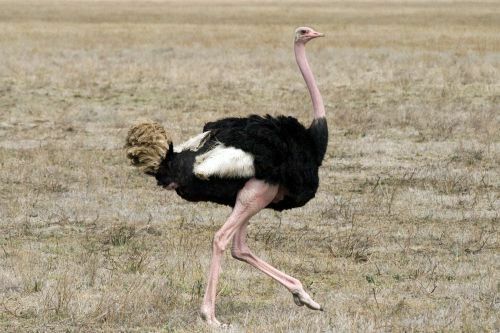 The ostrich is the fastest animal in the world on two legs. 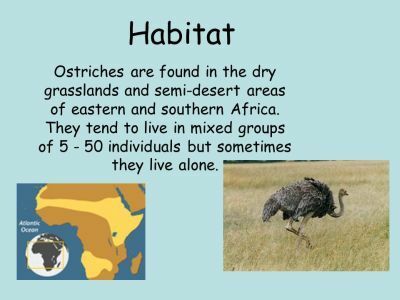 The Ostrich, also known by its scientific name “Struthio camelus”, is a large flightless bird native to Africa, and is the only living species in its family. 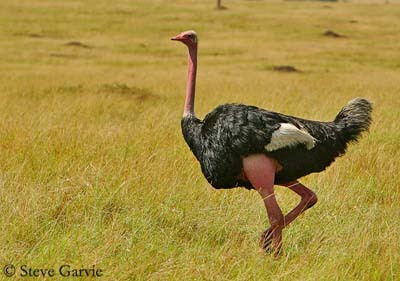 It has a long neck and legs and has the fastest land speed of any bird. It can reach speeds in excess of 40 mph. 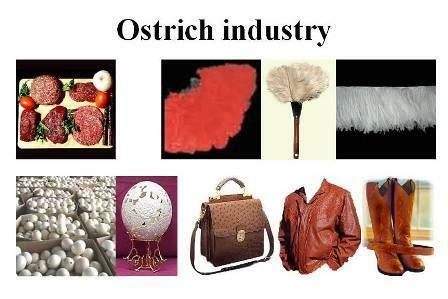 The Ostrich is farmed around the world for its feathers, meat, and hide. 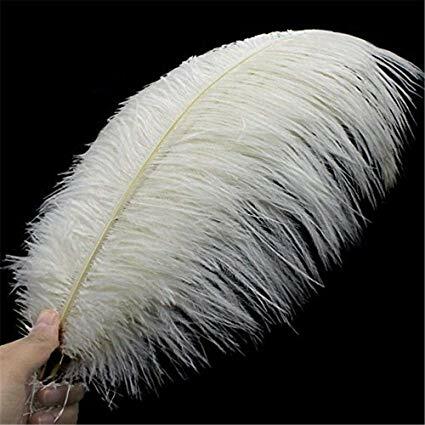 Its skin is used for leather products, its meat marketed commercially, and its feathers are decorative and used as feather dusters. 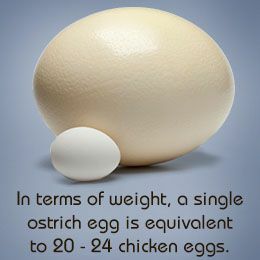 The Ostrich is also the largest living species of bird on earth and lays the largest eggs. The bird wins by a feather. 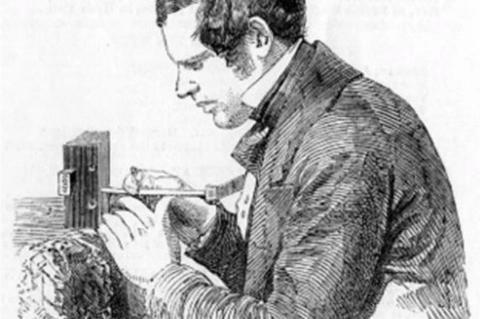 Who Invented The Modern Lock? 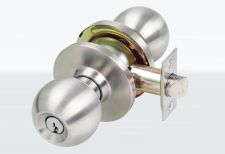 Locks have been around for thousands of years, but the kind of lock we use today is less than 200 years old. In 1817, the British government offered a prize to anyone who could design a lock that couldn’t be picked open by a thief. 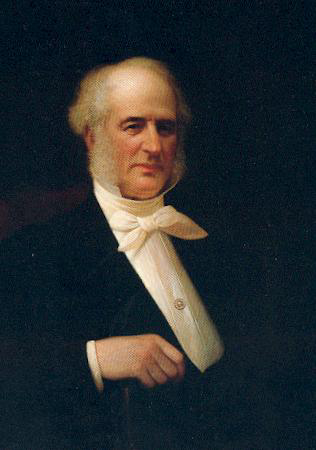 In February 1818 Jeremiah Chubb patented a "detector lock". 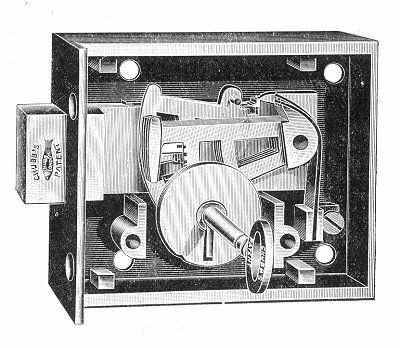 The lock was so constructed that if an attempt was made to pick it or open it with the wrong key, the detector mechanism came into play and rendered the lock inoperable. This both deterred the nefarious interloper and warned the owner that an attempt had been made in his property. To make the lock work again the owner had to use a special regulating key supplied with the lock. Chubb presented a lock that he said was safe. To test the lock, the government gave it to a lock-picker who was in jail, offering him his freedom if he could pick the lock. He tried for ten weeks, but couldn’t open the lock. In all the years since this kind of lock was invented, no one has ever been able to pick it open! 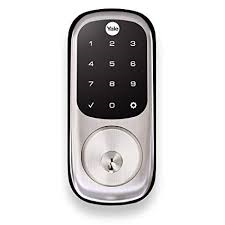 The modern lock, however, was invented by the father/son team of Linus Yale Sr. and Linus Yale Jr.
As for the Chubb Detector Lock, this kind of lock is rarely used today in the home. 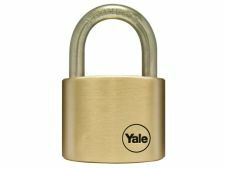 The kind of lock most people have in their doors, and invented in 1861 by the aforementioned American Yale duo. It’s called a cylinder lock. Astronomers can say with near certainty that there are no moons with moons in our solar system. But that doesn't mean it's physically impossible. After all, NASA has successfully put spacecraft into orbit around our moon. 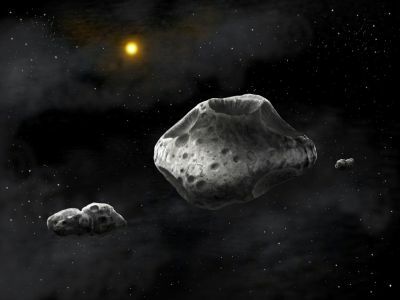 Although astronomers have spotted some asteroids with moons, a parent planet's strong gravitational tug would make it difficult for a moon to retain control of its own natural satellite, says Seth Shostak, a senior astronomer at the nonprofit SETI Institute. "You would need to have a wide space between the moon and planet," he says. Orbiting far away from its parent planet, a relatively massive moon might be able to hold onto a moon of its own … in theory. Conditions like these might exist in far-off solar systems, but while some 700 exoplanets have been detected, there's almost no chance we'll be able to spot exomoons, much less moons of exomoons, for decades to come. This is because our current methods for planet-hunting—such as spotting one as it passes a large star—lend themselves to detecting mostly huge, Jupiter-like planets, not their moons. 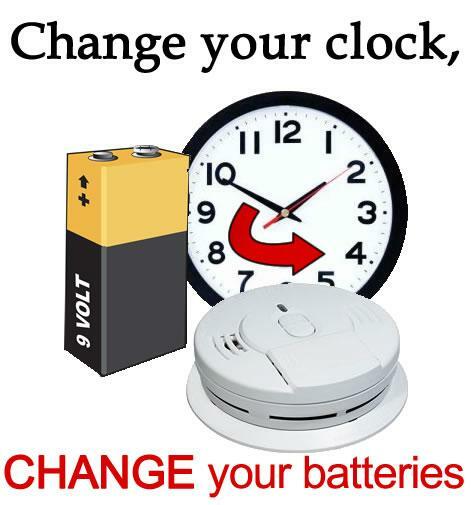 We simply do not have the technology or the methods that are sensitive enough. 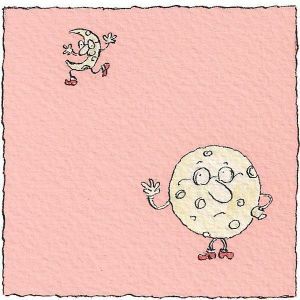 Even if astronomers spot a moon with a moon, it probably won't last long. 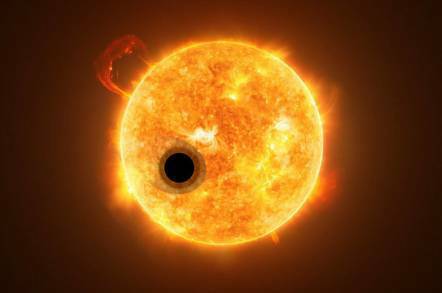 "Tidal forces from the parent planet will tend, over time, to destabilize the orbit of the moon's moon, eventually pulling it out of orbit," says Webster Cash, a professor at the University of Colorado's Center for Astrophysics and Space Astronomy. "A moon's moon will tend to be a short-lived phenomenon." The ratio of the mass of Earth's moon to its host planet is the largest, by far, in the solar system. This should mean that it would be the most likely of all the solar system moons to have its own natural satellite, but even so it would be a most unlikely possibility. ... and it doesn't help that the moon's orbit is elliptical. 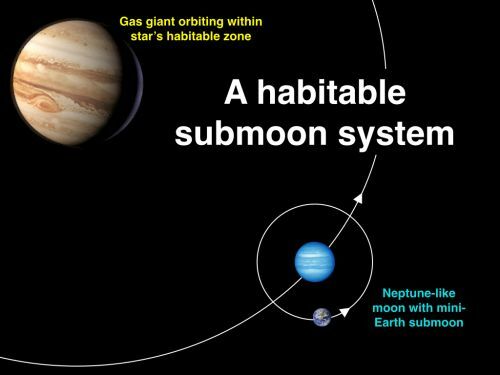 Makes you wonder how our moon's moon would survive a predictably-close orbital distance. 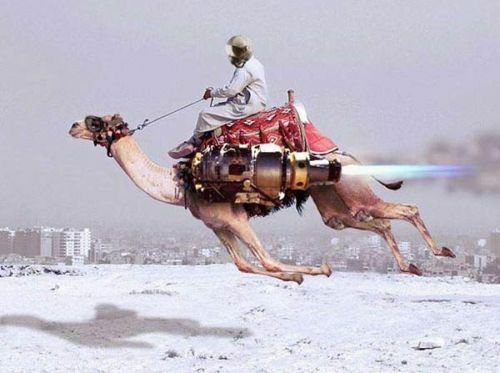 How Fast Can Camels Run? 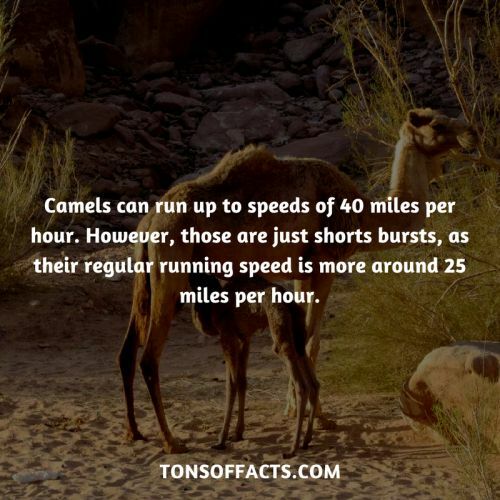 Camels can be pretty fast runners. 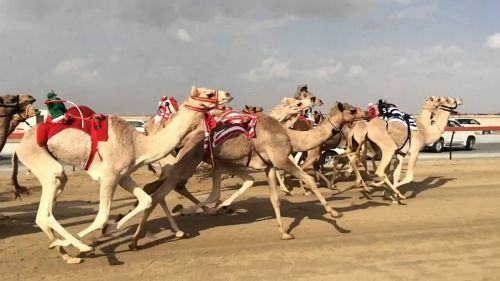 At the beginning of races, camels have been clocked upward of 40 mph. This pace slows considerably as the race progresses, however. A camel usually averages about 2 to 3 miles an hour when simply walking, 9 or 10 mph when trotting, and 16 mph during a gentle jog. 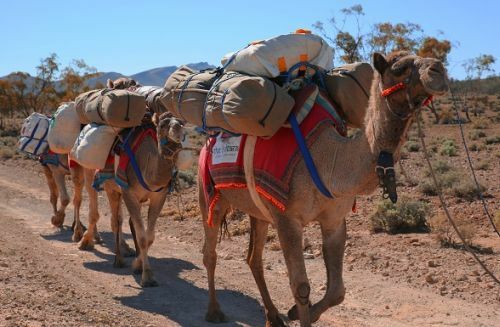 A pack camel can cover about twenty-five miles per day, on average. 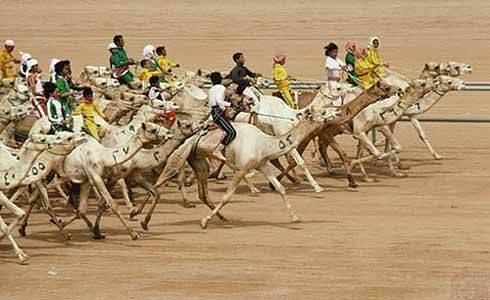 Cameltown Racetrack in Dubai is Five Miles Long. 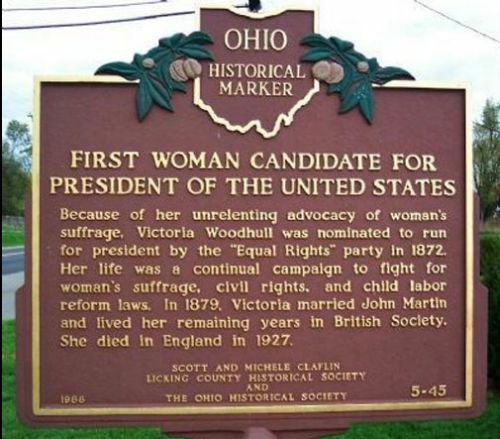 One woman did it five times. 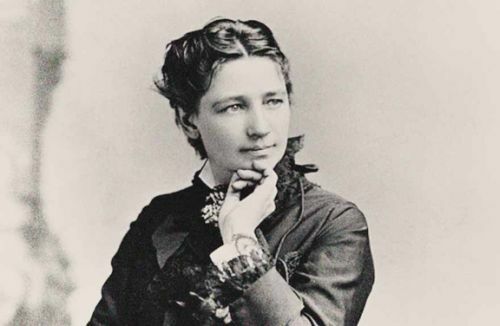 Her name was Victoria Woodhull, and she led a very interesting life. As a young girl, she traveled across the country with her family, who ran a fortune-telling and medicine show. 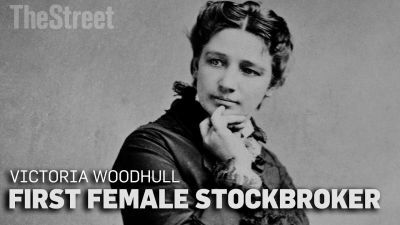 She later became involved in faith healing and wound up in New York City, where she met the very wealthy Cornelius Vanderbilt. They became friends, and he gave her enough money to become a stock broker. 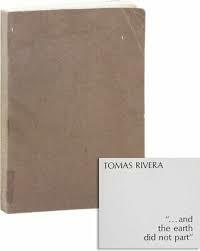 She was very successful in this work and started a newspaper. 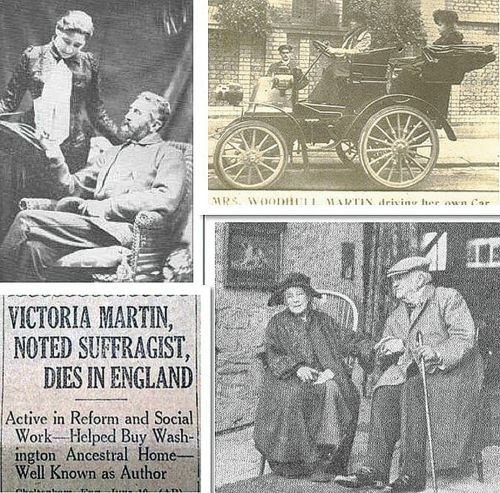 The paper was a big supporter of the women’s right to vote. 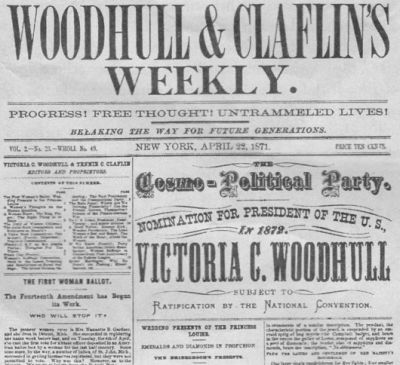 On April 2, 1872, Miss Woodhull became the first woman candidate for the presidency. 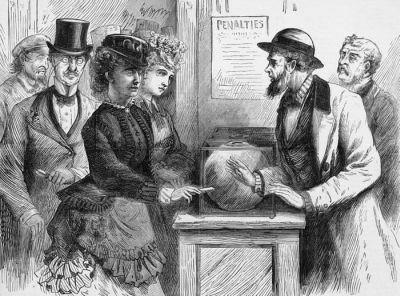 When she went to the poles to vote for herself, she was refused admittance. 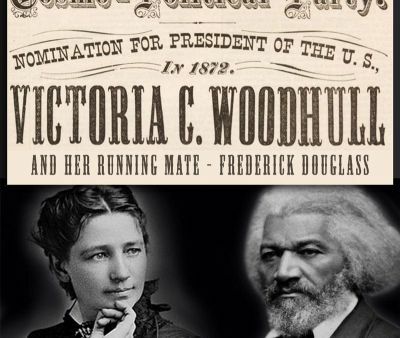 She ran four other times and then eventually married a wealthy man and went to England.